"OK I showed a few people at our meeting this week some of the XNA games on my Zune and they wanted to know how to do it. They said they weren't programmers and the link I sent them was a bit confusing and was wondering if I could do a step by step for them so this is basically a repost from Nick Gravelyn's blog with pictures and a few additions to make it a bit easier to do: since a lot of non-developers are looking to get games on their Zune, I thought I’d take a moment and write up a brief “How To”. 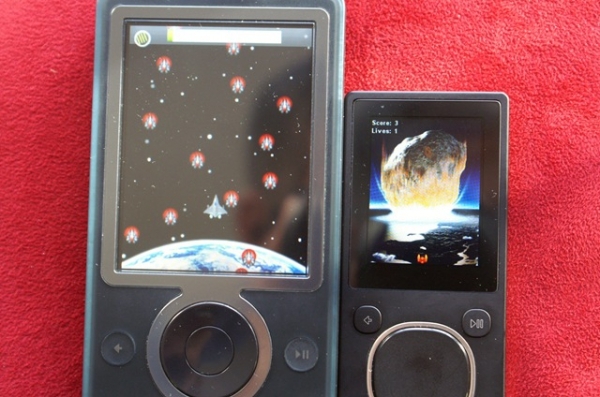 Note: If you have a 64-bit machine, the CTP is not able to deploy Zune games. The final version of XNA Game Studio 3.0 will, but for now you are unfortunately unable to participate." I've seen a few articles on how to get games onto your Zune, but they've all been pretty complicated - this one makes it seem quite simple. I'm going to try this right after I push this post live - I was going to wait on this whole "Zune Games" thing because I don't truly have a burning desire to have games on my Zune, but this tutorial makes it look so easy I figure I'll give it a try...here I go!